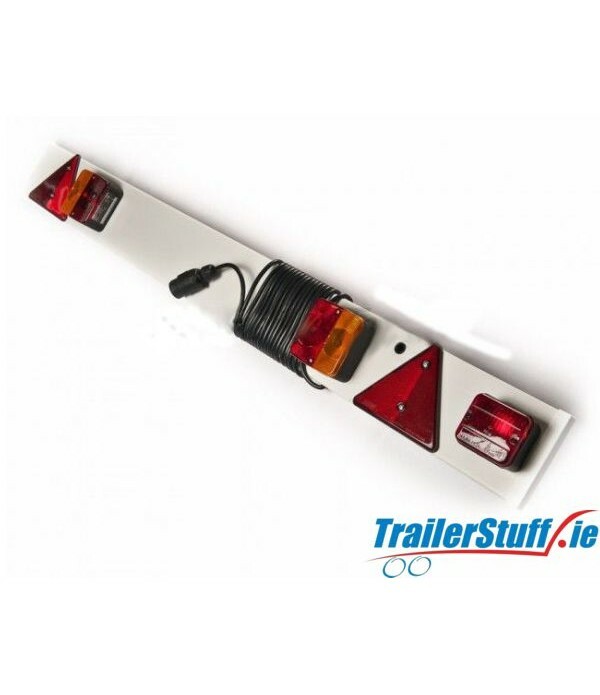 Lighting Boards - Trailer Parts and Accessories | Ireland | Trailerstuff is Irelands largest online supplier of trailer parts and accessories. 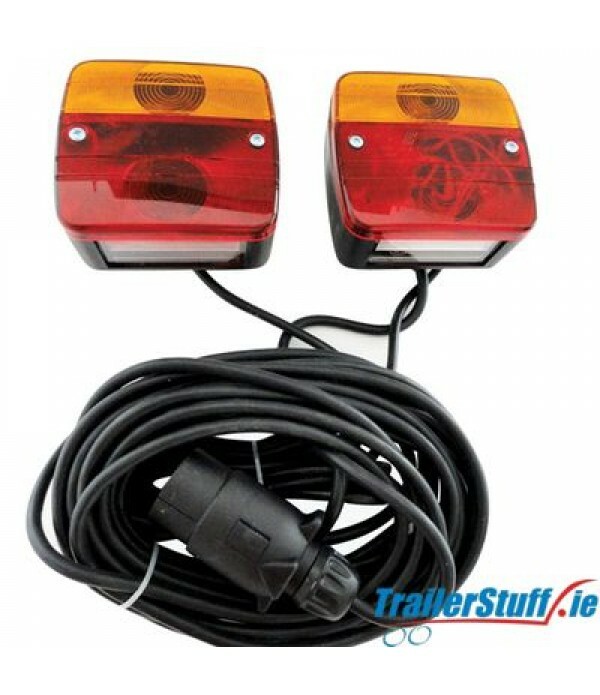 Description 2 EU aproved 12V LED combination lamps Number Plate light on left hand light Polycarbonate lenses & imapact-resistant ABS housings Lamps are waterproof and dust proof Powerful integral magnets for quick and secure attachment Waterproof connectors allow lamps to be det.. Lighting board 3ft. long, with 4m. cable.. 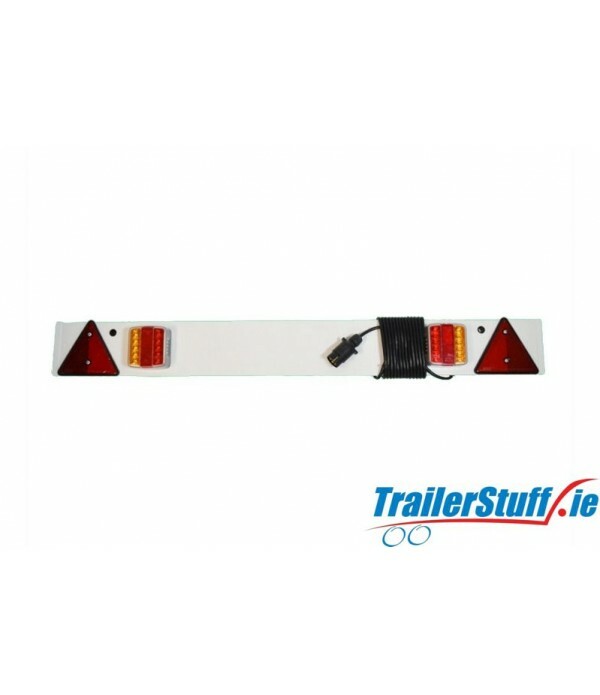 Description E Approved Lighting Components Board length: 1.3m approx. Cable length: 5/6m approx. Electrics: 7 Pin (MP21B) 12 Volt. 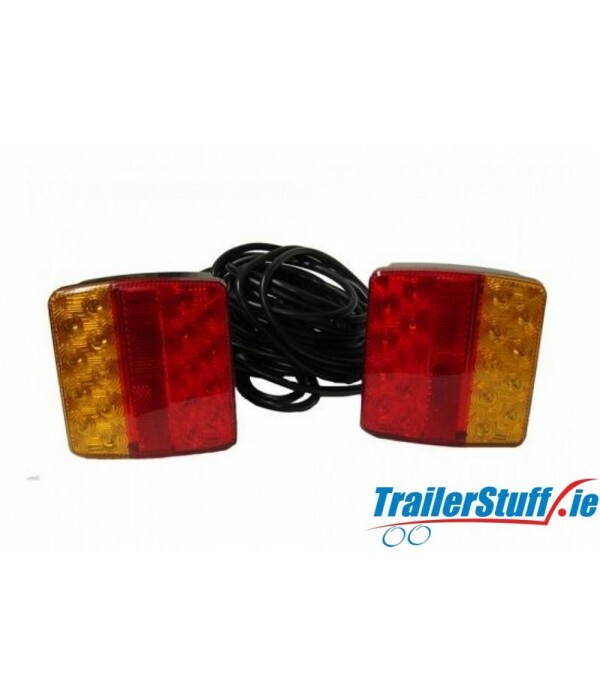 Lamps; 2 x LED, 4 function Lamps (Stop/Tail/Indicator/Number Plate) (MP8582BL/BR) Fog Lamp: (MP8641B) Reflectors: 2x triangle (MP16B).. 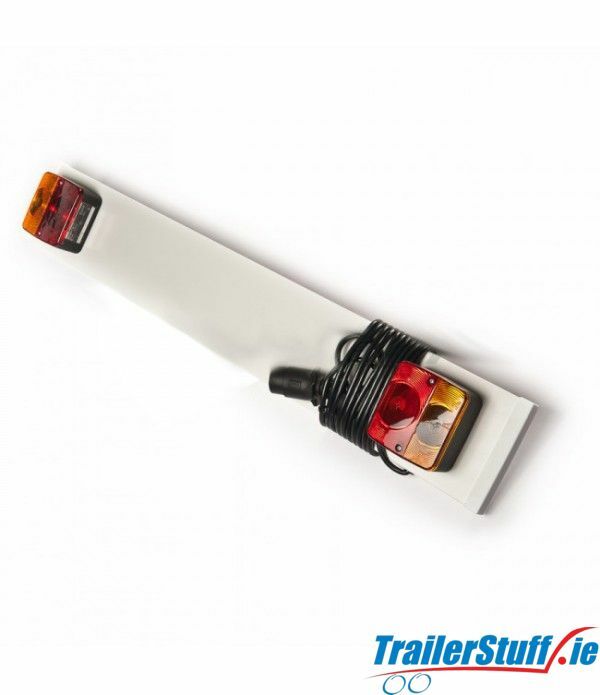 Description E Approved Lighting Components Board length: 1.8m approx. Cable length: 10m approx. Electrics: 7 Pin (MP21B) 12 Volt. 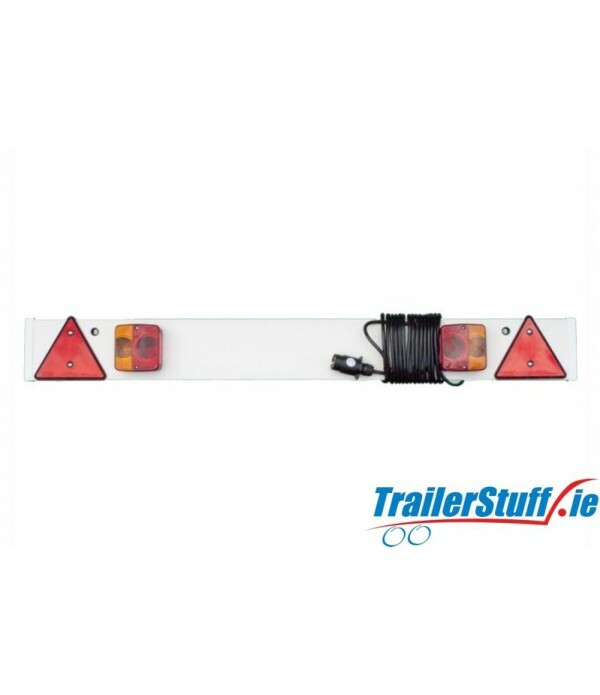 Lamps; 2 x LED, 4 function Lamps (Stop/Tail/Indicator/Number Plate) (MP8585BL & BR) Fog lamp: (MP8641B) Reflectors: 2 x triangle (MP16B)..
12 Volts With 7.5 Metre Cable Distance 2.5 Metre Cable Between Lamps 7 Pin Connection ECE Approved Reg 3 | 4 | 6 | 7..
12 Volts with 7.5 Metre Cable Distance 2.5 Metre Between Lamps Spare Lenses Easily Available 7 Pin Connection ECE Approved Reg 4 | 6 | 7 ..
Trailer Lighting Board E Approved Board length: 1.215m approx. Cable length: 10m approx. 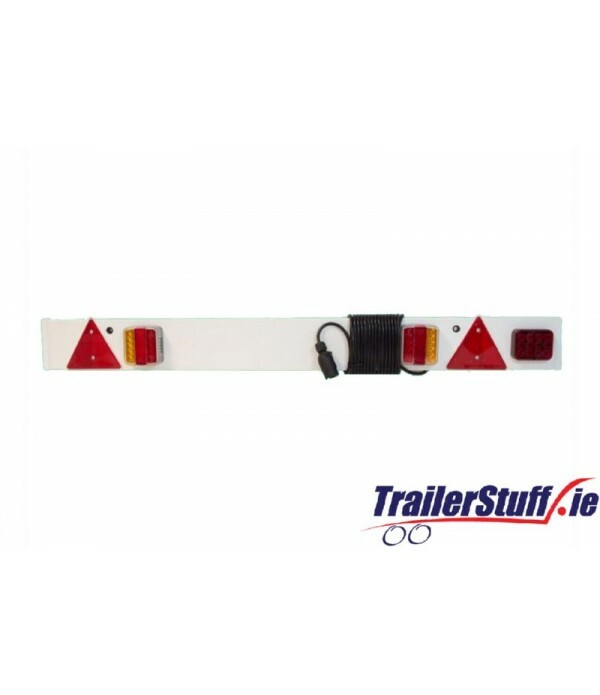 Electrics: 7 Pin (MP021B) 12 Volt. 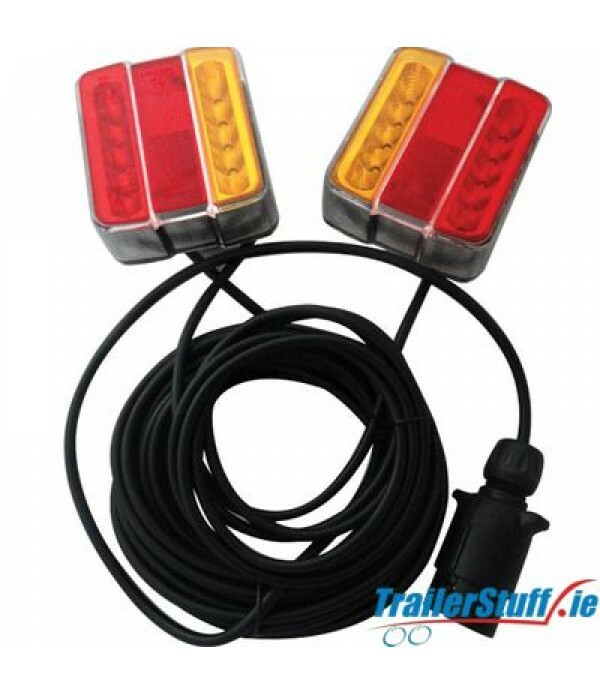 Lamps; 2 x 4 function Lamps (Stop/Tail/Indicator/Number Plate) (MP017B) Reflectors: 2 x triangle (MP016B)..